In 1928, a young scientist named William Castle did a medical experiment that, by any objective standard, was totally disgusting. Gross-out warning: if you’re eating or have a weak stomach, maybe skip to the next heading. Dr. Castle took 300 grams of raw ground beef, chewed it, ate it, waited an hour, and then forced himself to vomit it back up. Then he incubated the vomit at body temperature for 6 hours, strained it to remove the solids, and poured the liquid portion through a tube into the stomachs of his patients. Why would anyone do that? Why would any patient ever agree to it? Because these patients were suffering from pernicious anemia. Symptoms of pernicious anemia started with fatigue, exercise intolerance, pale skin, numbness, and balance and reflex problems. But unlike some other forms of anemia, it couldn’t be cured just by eating more red meat. Researchers at the time understood that there was a connection between nutrients in meat and anemia. But they’d tried high-meat diets in pernicious anemia with no results. Left untreated, pernicious anemia often killed the patient. The first cure for pernicious anemia came in 1926, when a scientist named George Minot discovered that pernicious anemia could be cured by eating 300 grams of raw liver every day. Liver! 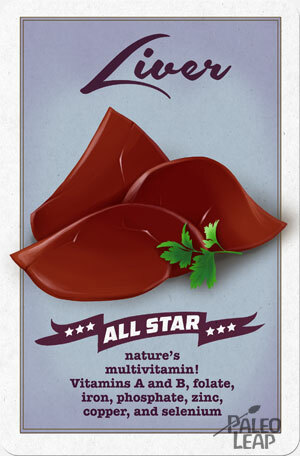 Superfood of superfoods, curing “incurable” diseases since the Coolidge administration! Unfortunately, nobody wants to eat half a pound of raw liver every day. It’s better than death by pernicious anemia, but not by all that much. That brings us back to William Castle. Dr. Castle wanted to understand why the liver worked. He hypothesized that pernicious anemia patients had a deficiency of gastric juices, what he would later call an “intrinsic factor.” Raw liver seemed to contain that “intrinsic factor,” so eating raw liver let pernicious anemia patients digest and absorb the nutrients in the meat. That’s how Dr. Castle came up with the beef experiment, thinking that he would let the “intrinsic factor” in his own healthy digestive system digest the beef and then give the patients the result. Basically, he was outsourcing their digestion to his own stomach. And in 61 consecutive patients, the regurgitated raw beef actually worked! Dr. Castle had proved that pernicious anemia wasn’t just a lack of dietary vitamins, but a lack of “intrinsic factor” that the patients needed to digest and absorb the vitamins. (Researchers would later name and describe the vitamin involved: it’s vitamin B12.) Dr. Castle went on to develop an injectable form of liver extract that could bypass digestion altogether and get the vitamin directly to the bloodstream. That worked, too. His patients were presumably extremely relieved, and vitamin B12 injections are still how doctors treat pernicious anemia 90 years later. So what does any of this have to do with Paleo? 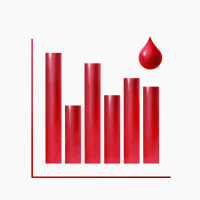 Anemia is still a major issue today. In fact, about 25% of people worldwide are anemic. Diet is obviously a factor in anemia – as well as vitamin B12, anemia can also be caused by deficiency or malabsorption of dietary iron. But the story of Castle’s discovery points out how complicated it is: just eating more red meat doesn’t necessarily fix the problem. Diets rich in iron and B12 are pretty obviously beneficial, and Paleo gets a 10/10 in that area. Several studies have also shown that various aspects of Paleo help improve iron and B12 absorption. Anemia is when your body doesn’t get enough oxygen because you’re not making enough red blood cells. Anemia most famously causes fatigue and “brain fog,” but it can also cause heart problems, constantly feeling cold, paleness, dizziness, and a bunch of other symptoms. It’s more common in women than men. Anemia can be caused by dietary deficiencies, most commonly iron. You need iron to make red blood cells. So if your diet doesn’t have enough iron, or if you’re not absorbing what you eat, you can’t make enough red blood cells and you might become anemic. But anemia is not the same as iron deficiency. Iron isn’t the only deficiency that can cause anemia. You can also get anemia from deficiency of any other nutrient that you need to make red blood cells, like copper or vitamin B12 (B12, not iron, was actually the problem for Dr. Castle’s patients). Sometimes anemia isn’t caused by deficiency at all. Some diseases that prevent you from making red blood cells properly regardless of what you eat. Because this is a Paleo site, we’ll focus on diet-related causes of anemia, deficiencies of different nutrients caused by either dietary lack of that nutrient or malabsorption. Genetic diseases like sickle-cell anemia are totally beyond the scope of diet to heal. Iron and/or vitamin B12 deficiency in the diet. Vegans often struggle with this. Inadequate iron/B12 deficiency caused by poor absorption. Celiac disease is a huge cause of this; so are parasites, H. pylori infection, and some other diseases. Pernicious anemia is also in this category, although it’s statistically quite rare. By far the most common type is iron deficiency anemia. Green vegetables are not great sources of iron, since they only provide non-heme iron, which is hard to absorb. But what if your diet is totally fine? Lots of people eat plenty of meat but still have anemia because they can’t absorb the nutrients. Gut problems. People with Celiac disease, Crohn’s disease, and other gut-related diseases are very prone to anemia because they can’t absorb iron and B12 from their diet. But in many cases, curing the underlying gut problem cures the anemia. For example, this study showed that many Celiac patients recover from anemia with a gluten-free diet alone. Paleo is a pretty great diet for dealing with Celiac disease because it takes care of factors above and beyond gluten. Read more about Paleo and Celiac or Paleo and Crohn’s disease/ulcerative colitis (Inflammatory Bowel Disease). You can still have gut-related iron absorption problems even if you don’t have a named disease. And studies suggest that improving gut health will improve your iron absorption even if you don’t have Celiac disease. For example, this study and this one found that prebiotic fiber (fiber that feeds your gut bacteria) improved iron absorption. Chronic stress. In rats, psychological stress reduces iron absorption in the gut. In news that ought to surprise precisely nobody, chronic stress is really, really bad for you! Paleo is all about reducing and managing chronic stress – that’s one reason why people call it a “lifestyle” and not just a diet. Read more about chronic stress here and here, and get some stress management tips here, here, and here. This really can’t be stressed enough: Paleo is not a substitute for a doctor. But when it comes to diseases like anemia, which are very tightly connected to diet, there’s plenty of evidence showing that a Paleo way of eating can be a helpful complementary treatment. And at the very least, everyone who’s reading this and has anemia can now see the silver lining: nobody is forcing you to choose between death and daily raw liver!